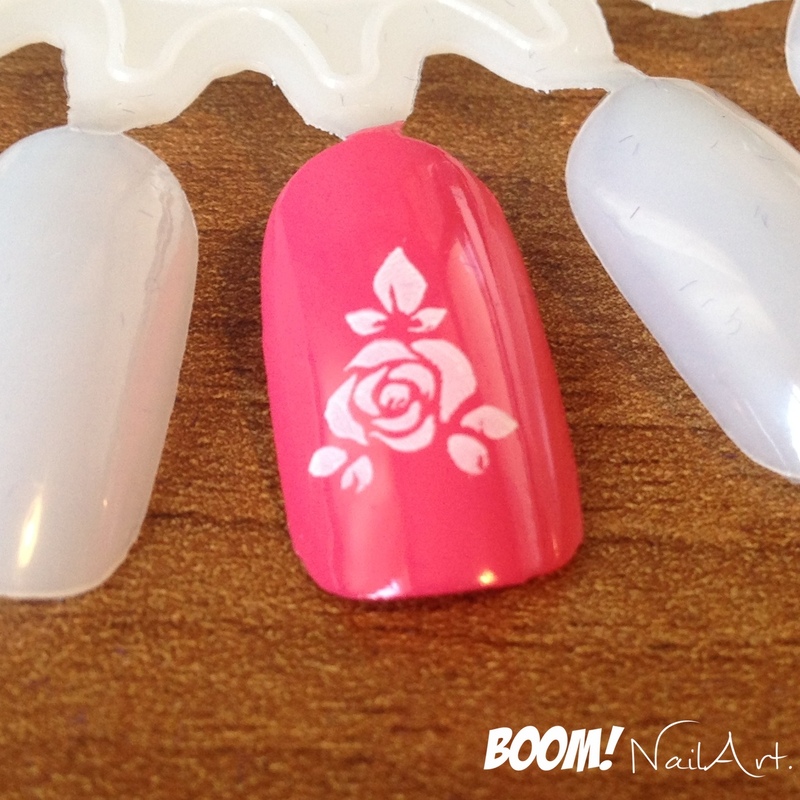 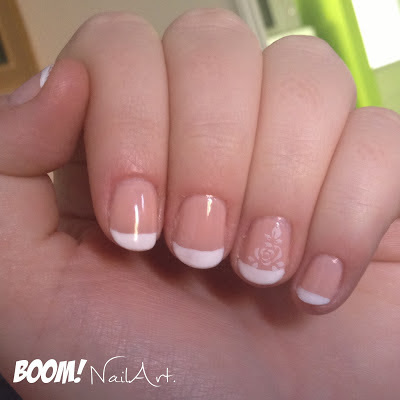 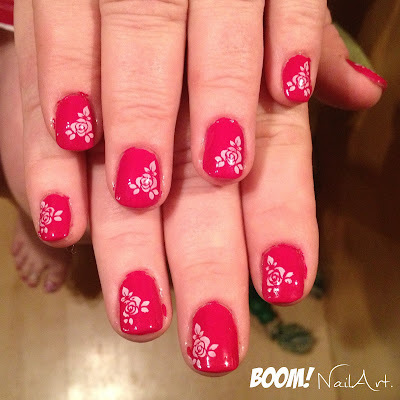 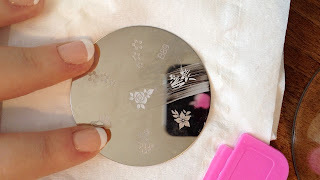 Stamping nail art is a great way to easily get detailed nail art design and it so easy you can even do it with your non-writing hand! 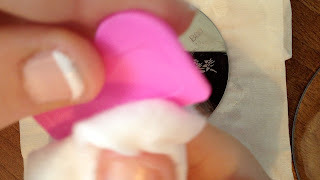 Be sure the put the image plate on a piece of tissue or paper, because when you use the scraper, the excess polish will come off the side of the plate. 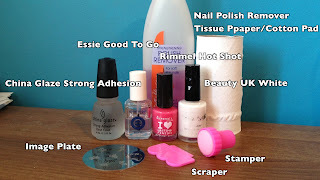 Paint your nails and let them completely dry. 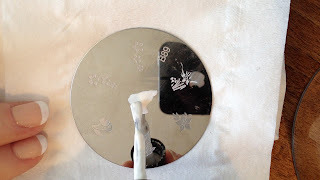 Use a scraper to remove any excess polish (if you don't have a scraper, you can use an old credit card - also if possible use a scraper with a plastic blade, as the metal ones leave scratch marks on the image plate). 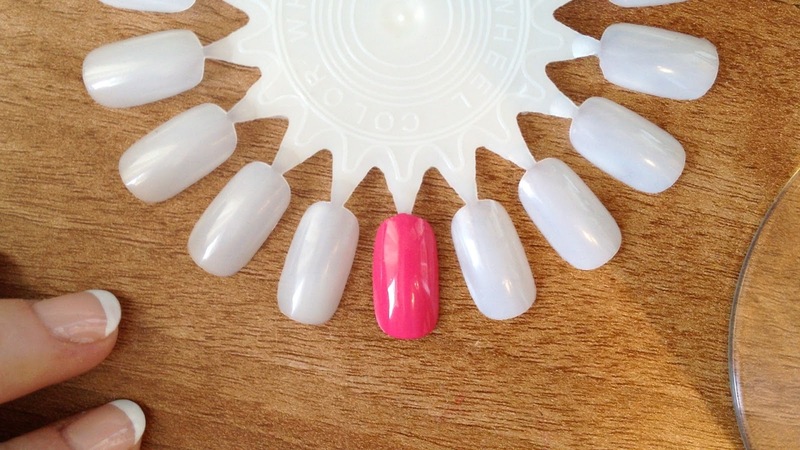 Once all the excess polish is removed, use a stamper to pick up the polish from the image buy firmly pressing the stamper onto the image. 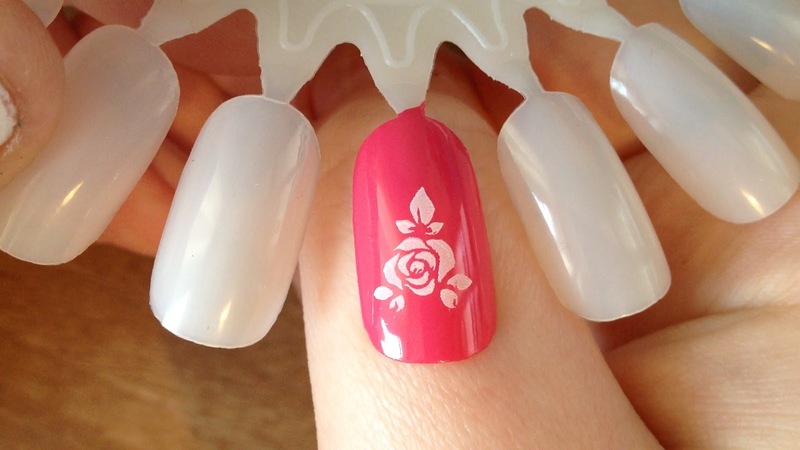 The whole image should show in polish on the stamper, if it doesn't try again (it took me a while to get it perfect). 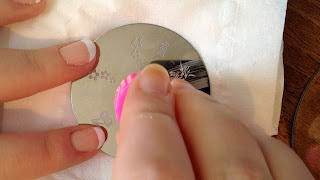 When the image is on the stamper, roll the stamper across the nail, pressing firmly (it will take a bit of practice to get the image lined up properly). 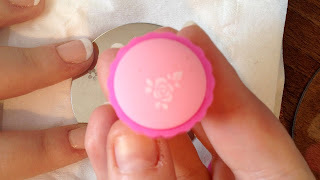 Clean away all polish residue from the plate, stamper & scraper with regular nail polish remover.